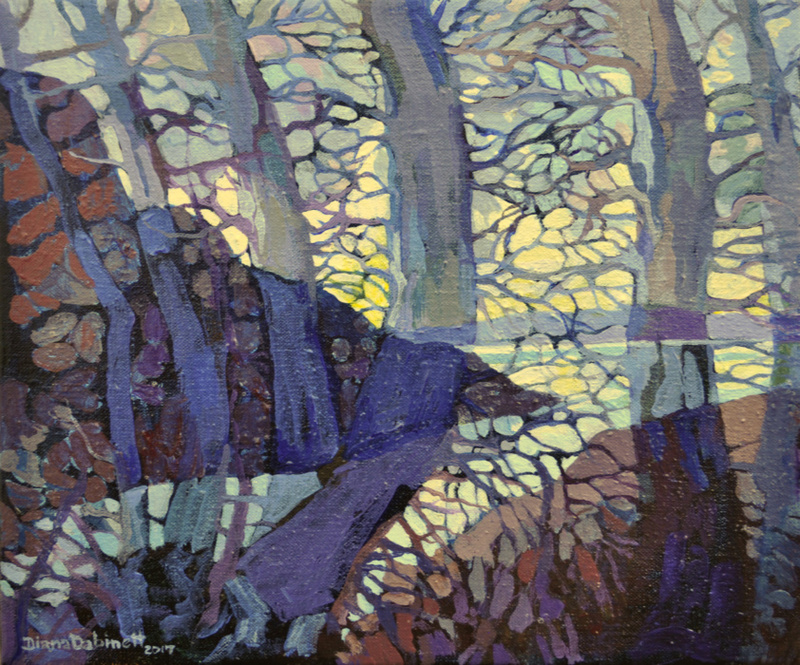 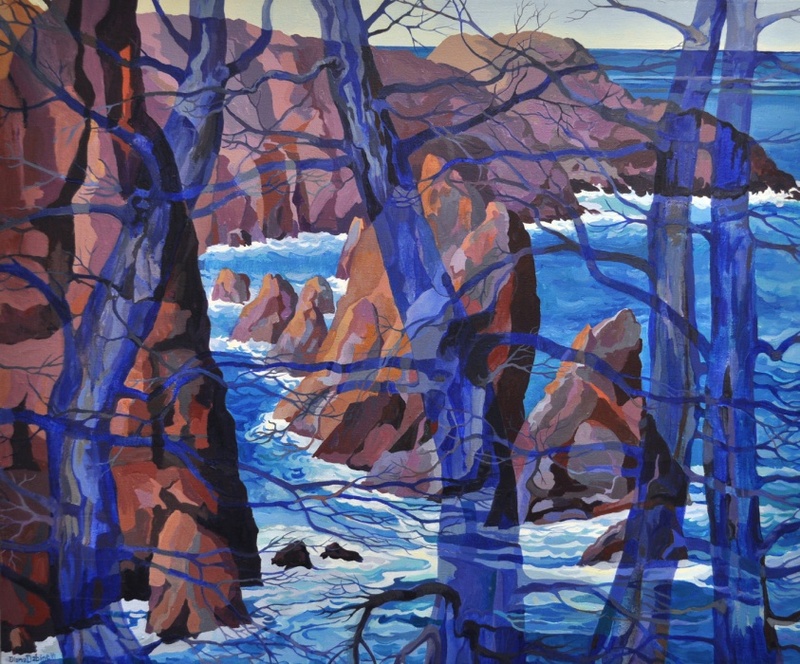 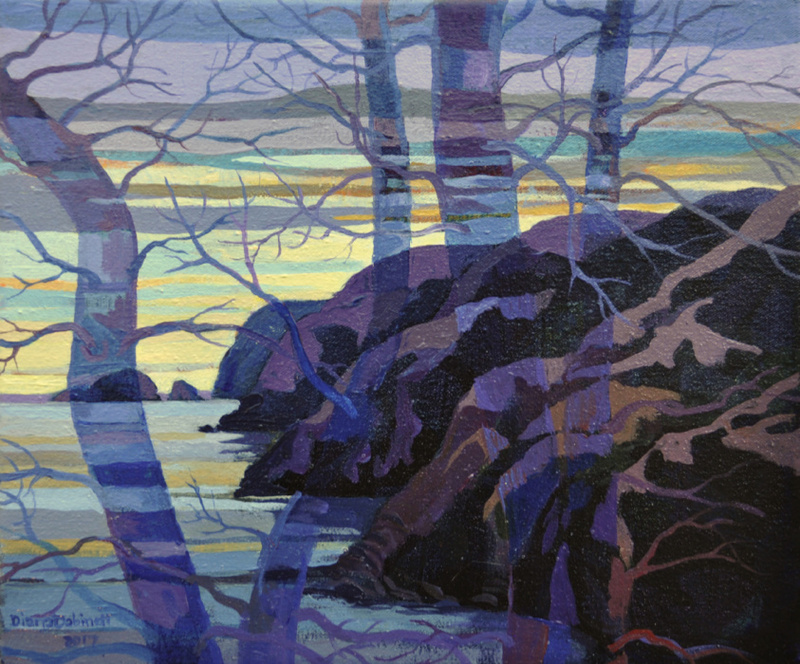 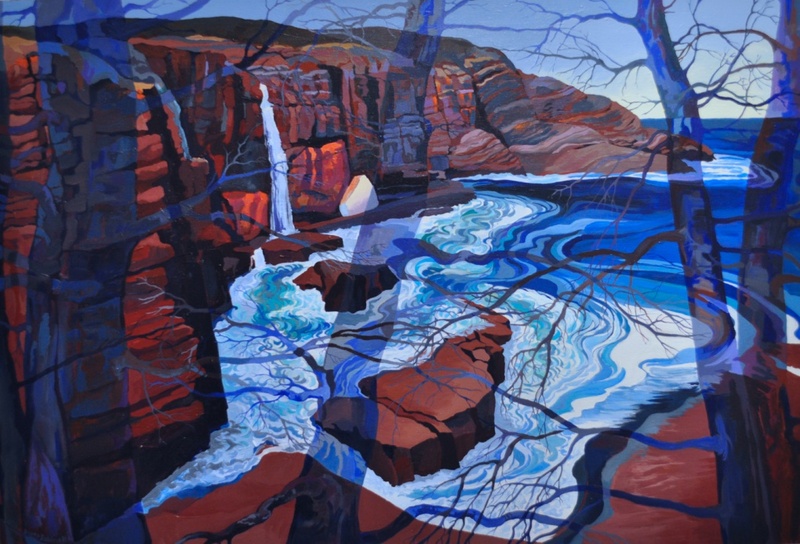 Through vibrant colour and myriad forms of life, I attempt to present a unique view of the underwater world beyond the Newfoundland shoreline – the seabirds along its rocky cliffs and its bogs, forest and fields inland. 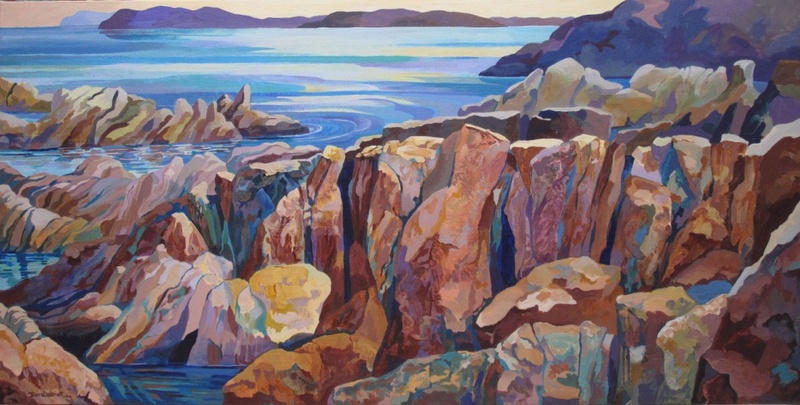 The surface teems with details from the natural environment, but captures the duality of its fragility and durability under the harsh conditions on this edge of Canada. 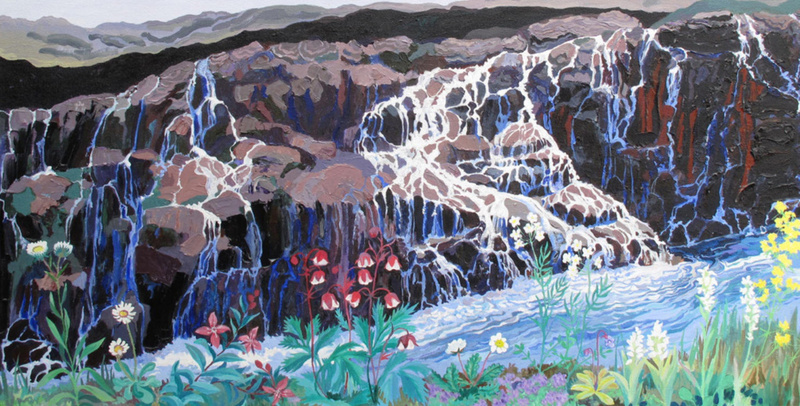 Through direct observation of the environment, I build up a storehouse of experiences and memories – supported by reference photographs and scientific fact – that are the catalyst for my paintings.